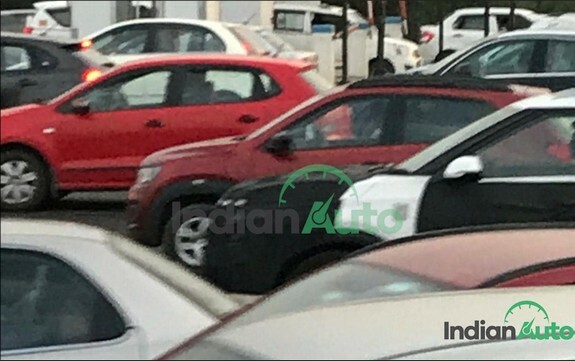 Update: ZigWheels reader Vipul Poojary has shared spy shots of the Kia SP2i snapped in Mumbai. The two prototypes seen in the latest spy shots are in the top-of-the-line configuration with diamond-cut alloy wheels, disc brakes on all four wheels and red brake callipers in the front. New spy shots added to the image gallery at the end of the story. IAB's sister side IndianAuto has received a new set of spy images of the Kia SP2i that was spotted on the Faridabad-Gurugram highway in Delhi-NCR recently. 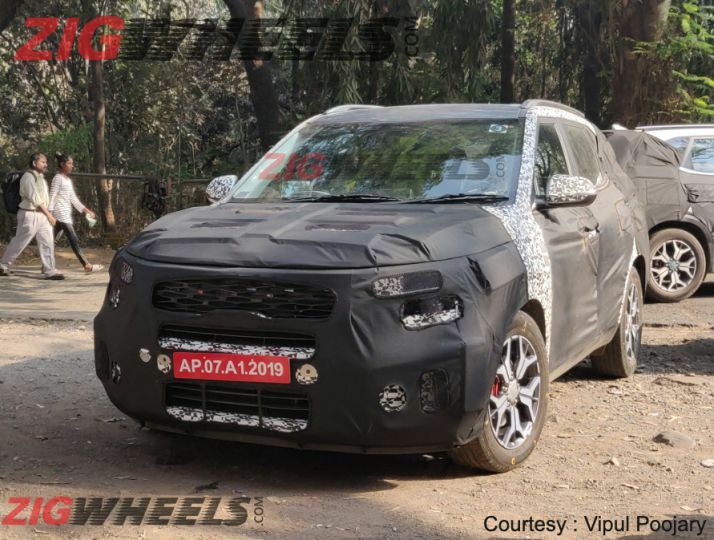 From the looks of it, the Kia SP2i will be sold with three wheel configurations - steel wheels with plastic covers for the base trim, single-tone five-spoke alloy wheels for the mid-tier variant, and dual-tone machined rims for the top-spec version. Multiple sightings of the Kia SP2i have revealed three wheel configurations. While the top-spec version features multi-spoke machined alloy rims, the mid-tier version receives a less sophisticated set of alloy wheels. The entry-level model features steel wheels with plastic covers. The alloy wheels that will be available on the top-spec version have the same design as those of the recently unveiled Kia SP Signature concept. The Kia SP Signature has shown us many production-ready design and styling details. The concept vehicle features conventional pull-type door handles and a greenhouse that tapers towards the rear. It even gets new faux exhaust ports, which are unlikely to be seen on the production version, and liberal application of chrome trim spread across the exterior. 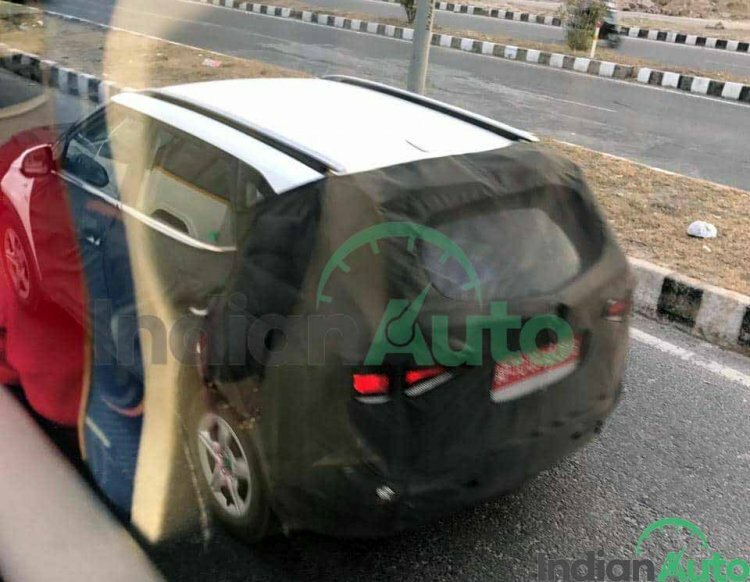 While the front-end looks a lot like that of the original concept from Auto Expo 2018, it features a smaller set of headlamp pods and an updated bumper. The interior of the Kia SP2i will be kitted out with several high-end features, including a head-up display, ambient lighting, a 360-degree camera, WiFi and wireless charging. The new SUV will be sold with two engine options - 1.5-litre petrol and 1.5-litre diesel. That said, the company will reportedly launch a performance-focused variant at a later stage. The more powerful version will be propelled by a 1.4-litre T-GDI turbocharged direct injection petrol engine. Underpinning the Kia SP2i is an updated version of the Hyundai Creta's platform. The repurposed architecture will be capable of supporting a 7-seater version. The Kia SP2i will be underpinned by an updated version of the Hyundai Creta's platform. The revised architecture will even support the next generation Hyundai Creta and can also underpin a seven-seater version of the Kia SP2i.